With SXSW Interactive in the rearview, our Owls have begun trickling back into HootSuite HQ. Along with some sizable media buzz, the team has returned with tales from the road, handfuls of swag, and very hoarse voices. Following up on the appearances mentioned in our earlier posts, we’ve rounded up some of our favorite media bites and experiences from SXSW. 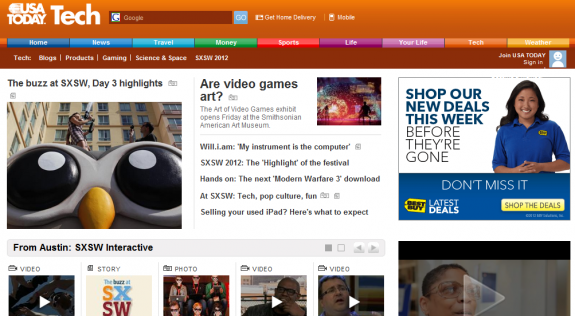 Plus, a couple new interviews featuring CEO, Ryan Holmes – via Mashable and MediaCom. At a festival that saw brands hosting grilled-cheese eat-offs, sumo wrestler street teams, and a Jay-Z concert – it’s become harder and harder to stand out. 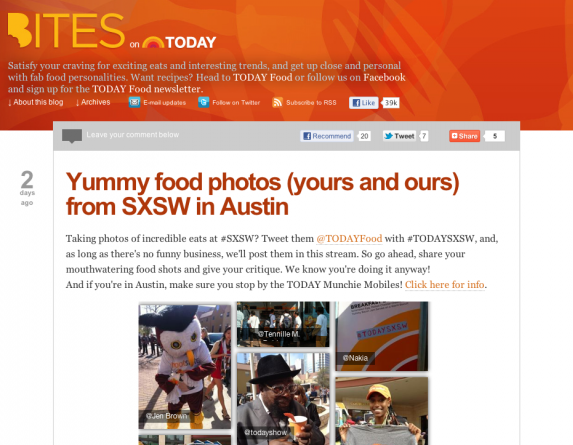 Luckily for HootSuite, our HootBus and SXSwag was a huge hit generating media coverage in USA Today (and their food blog – Bites on Today), Mashable, the Wall Street Journal and more! Check out our favorite quotes, images and snippets from the media. The Wall Street Journal documented some of the sights at SXSW in a recent article – focusing on some of the weird and wonderful spectacles on display. 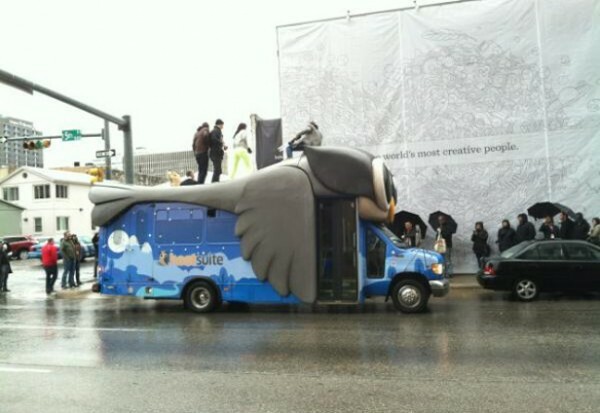 While HootSuite didn’t turn any homeless people into wireless hot spots or hire actors in elephant costumes for boxing matches, the HootCannon and HootBus still managed to attract the attention of festival-goers – some lucky enough to get a ride in the big bird. 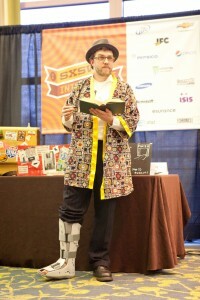 The Vancouver Sun, ran some HootSuite SXSW coverage including a video interview with VP Community, Dave Olson, featuring snippets of his presentation. In the interview, DaveO touches on the Egyptian Revolution and HootBus. 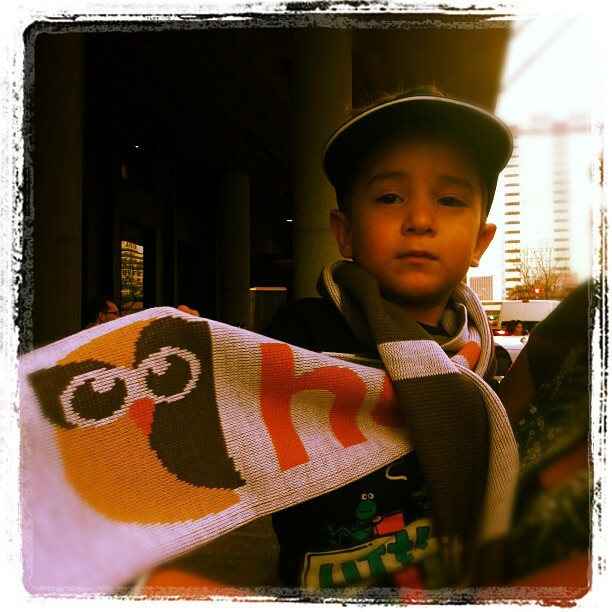 Vancouver’s HootSuite are the darlings of SXSW, again. 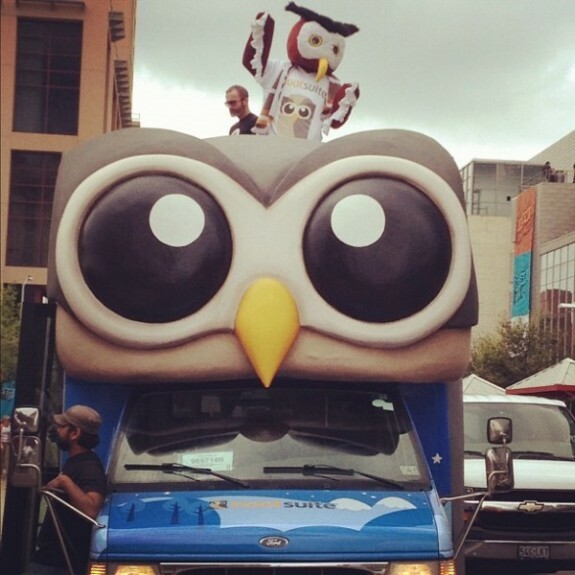 If it’s not the HootSuite Owl commanding crowds, it’s the massive HootBus and t-shirt-canon-firing CEO Ryan Holmes attracting attention. Some of the best marketing at SXSW is the stuff that makes you go “aww,” and the stuff that compels individuals (ostensibly of the trend-setter variety) to broadcast a brand to their social networks. 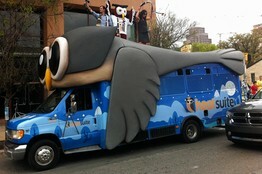 Everyone has seen the massive and darling HootSuite bus. Although the five day event was home to an abundance of panels, discussions, and keynotes – many of the most valuable and memorable conversations were had in bars, on the streets, aboard the HootBus and over cups of coffee. Even though SXSWi has come to a close, we’ve no plans to slow down and are keeping busy sharing the HootSuite story with two new interviews featuring HootCEO, Ryan Holmes. As part of the Young Entrepreneur Council‘s program, YEC Global – Ryan answered questions live via video chat in a broadcast hosted by Mashable and Vokle. Viewers sent in a variety of questions with topics ranging from his early experiences as an entrepreneur, SXSW, and even a few personal questions about Owly, the beloved HootSuite mascot. In the interview Ryan shares how he channels his passion for social media into a solution for businesses seeking to effectively manage their social media networks and engage in the conversations happening around their brand. Ryan also lends his insight on new innovations and breakthroughs in the social media space. HootSuite has once again had a wonderful time at SXSW connecting with fans, collaborating with colleagues and building on the HootSuite story. The insights and innovations the team took in will certainly help shape our roadmap. 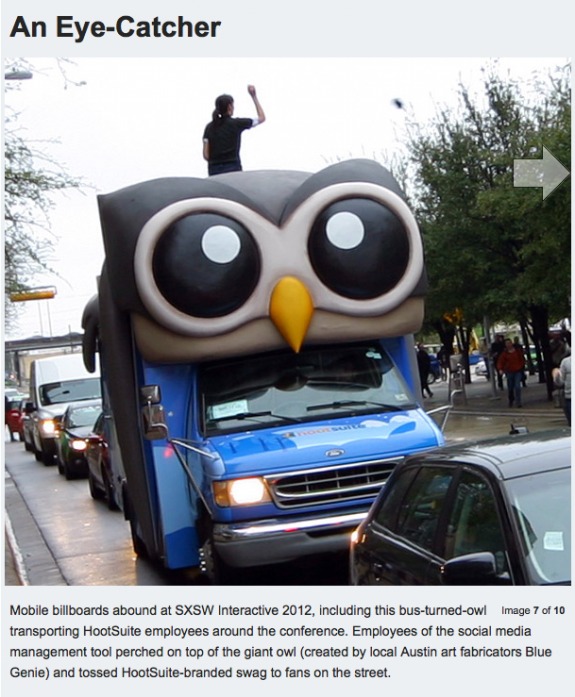 Check out our HootSuite SXSW 2012 Tumblr for loads of images from the festival and be sure to view our Sightings of #HootBus Storify. For more HootSuite event info, follow @HootSuiteEvents where you’ll find the latest event announcements and updates events we’re attending. Farewell for now Austin – we’ll see you next year!